Last year we had the honour of being the streaming partner, in association with CBC, for the WBO Flyweight title bout between Kosei Tanaka (12-0, 7) [田中恒成] and Sho Kimura (17-2-2, 10) [木村翔]. 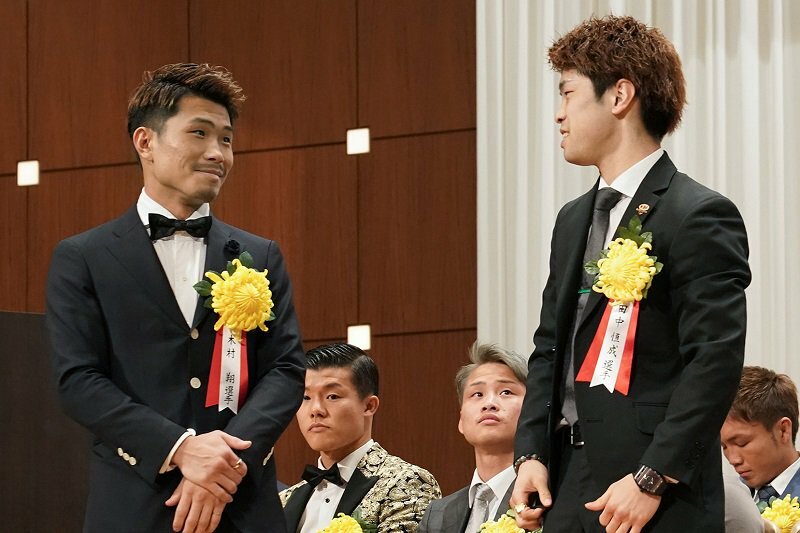 Today that very bout has been announced as the Best Fight at the Japanese boxing awards, which were held at the Tokyo Dome Hotel. The bout was an incredible 12 round battle that gained international respect for the none-stop action and the fantastic skills, toughness and heart of both men. It was none-stop action and proved to be something that put both men on the map internationally. Today the two fighters posed happily with each other for photographs, explained that a friendship had grown and looked like men with real respect for each other whilst being honoured for their incredible bout.